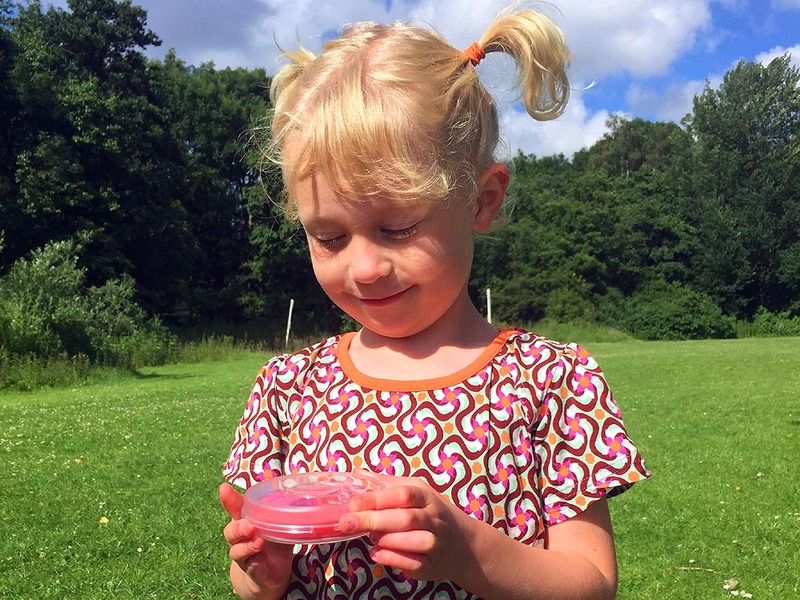 Firsty unique Tooth Box / Leuk voor op de Koelkast! Thanks for purchasing a Firsty/Lumage product through one of our channels (e.g Amazon, Bol.com or Lumage.NU). Inside every ordered Box is a leaflet with a Colouring Page. 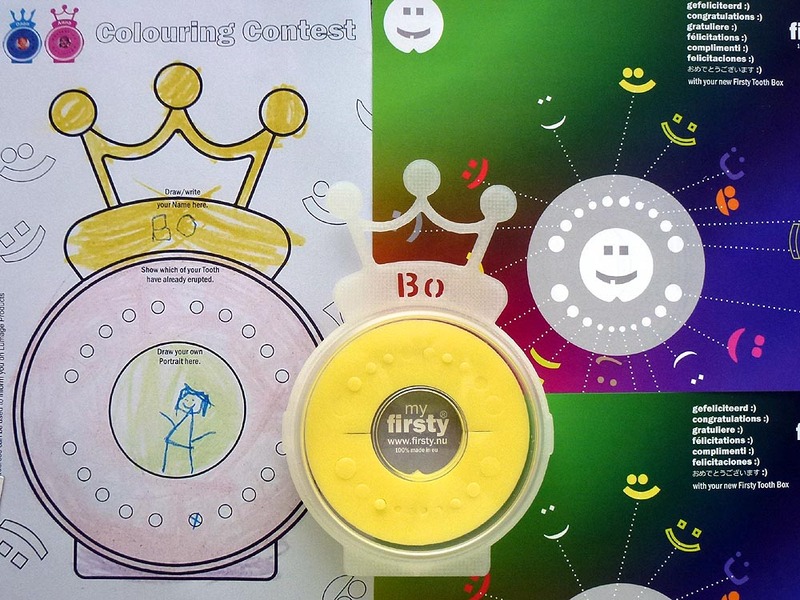 By colouring this Page your Child can win 1 of 3 Firsty® Tooth Boxes including a 3D-printed NameCrown with its own Name. 2. Email a Scan or Picture of this Colouring Page within 1 Month to colouring-contest@firsty.nu. 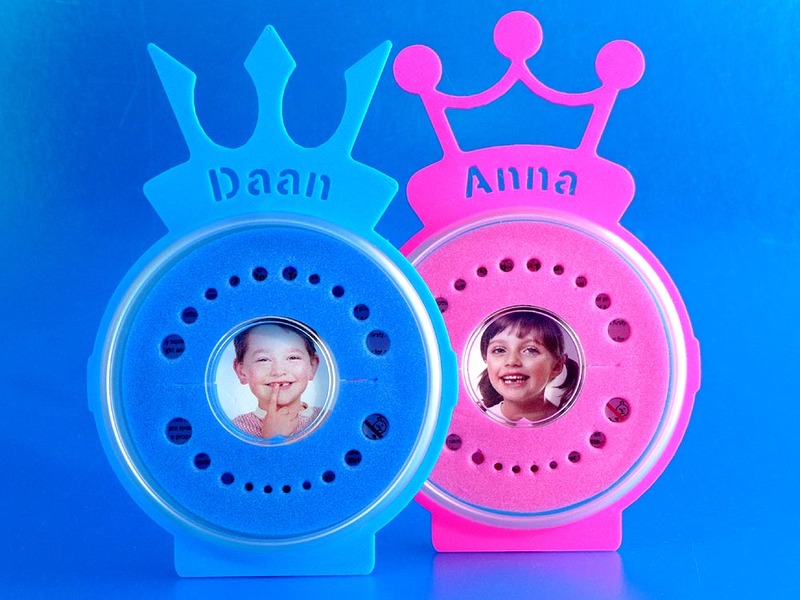 She wished to receive a yellow Firsty Tooth Box with a Glow-in-the-Dark NameCrown. Congratulations! No contestants this Month so there are no winners. 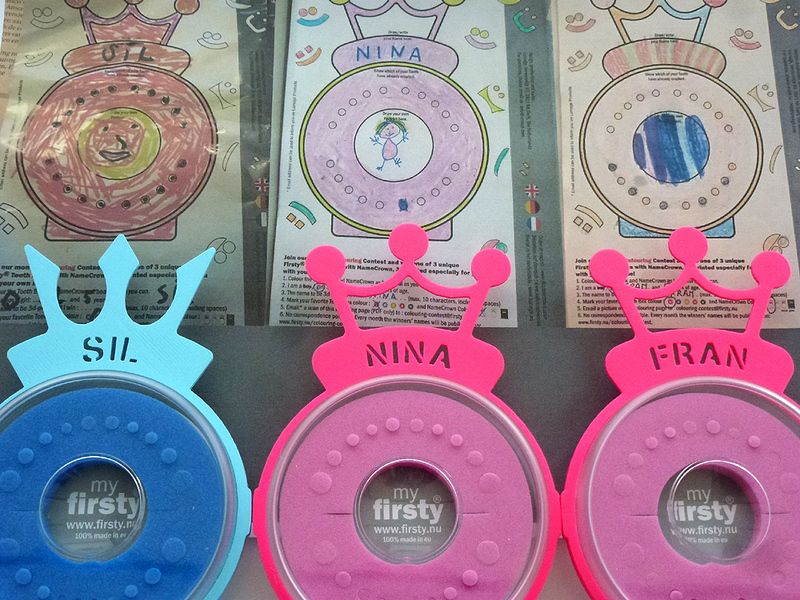 All 3 have received their Firsty Tooth Box with a personalised NameCrown. 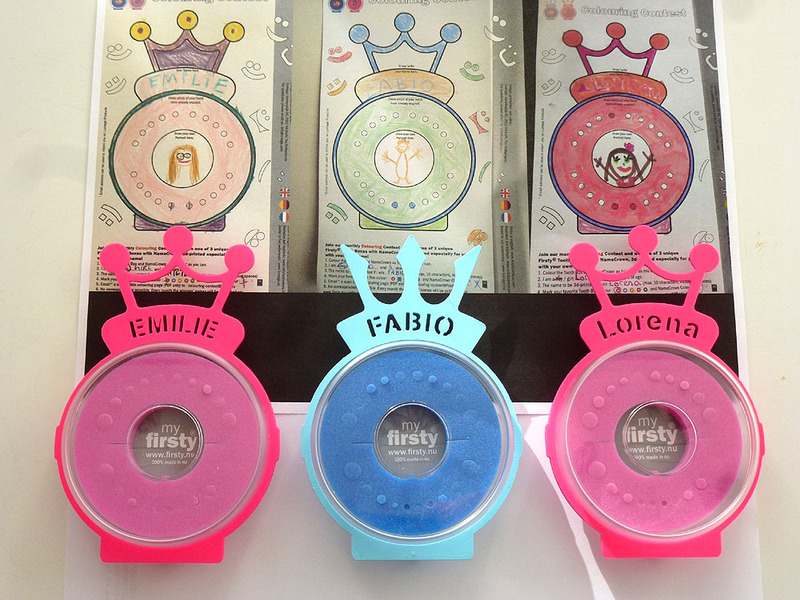 All 3 have will receive their Firsty Tooth Box with a personalised NameCrown. Join our Contest in January and email your Child's Colouring Page as a PDF- or JPEG-scan to: colouring-contest@firsty.nu.